George K. Knopf is a Professor in the Department of Mechanical & Materials Engineering at the University of Western Ontario (Canada). His current research interests include intelligent systems for design, 3D shape reconstruction, laser microfabrication, biosensor design and manufacture, optical microactuation, and bioelectronic imaging arrays. He has contributed to the development of intelligent systems for engineering design including studies on the characterization of micro geometry flaws in product data exchange, efficient packing of 3D parts for layered manufacturing, and the adaptive reconstruction of complex freeform surfaces. Yukitoshi Otani is an Associate Professor in the Department of Mechanical Systems Engineering at the Tokyo University of Agriculture and Technology (Japan). His current research interests include optomechatronics, optical actuator and manipulator, varifocus lens, 3D profilometry by Moire topography and interferometry, scatterometry, birefringence mapping, polatization, and polarimetry. 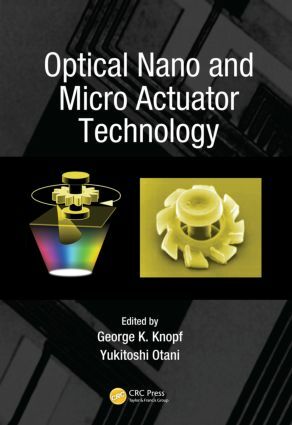 Dr. Otani has contributed to the development of novel measurement techniques in polarization engineering based on birefringence, Stokes parameters, and Mueller matrix.